Everyone knows that the best way to learn about a new place when visiting is to ask a local. Iceland’s ministry of tourism knows that, too and now it's offering to let people do it via its official information site. 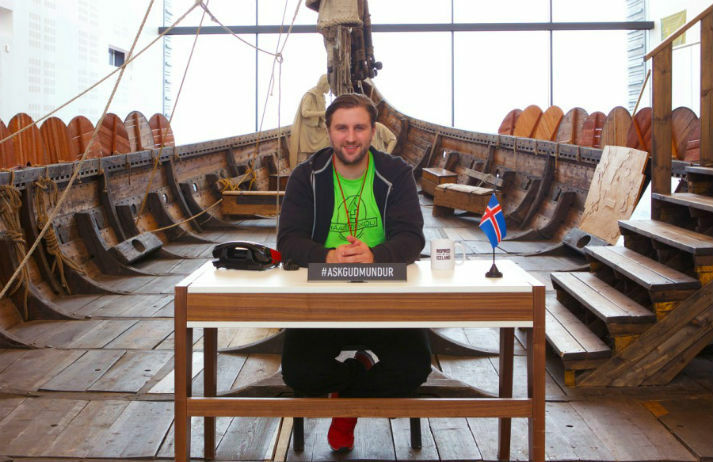 In a nod to Iceland's most popular name, now tourists can just ask Guðmundur. Figuring out what you should visit in a new city can be tricky. And while online recommendation sites are numerous, sometimes it can be overwhelming figuring out which ones are worth reading. DELI intends to fix this by creating a travel guide that’s tailored to who you are. The singles travelling industry has changed in the last 20 years, but young people who want to holiday solo still have few options beyond backpacking.